Crossing the Street in Hanoi examines how media and cultural artefacts of the Vietnam War constitute to how this tragic event is remembered. Wilder uses a human perspective to piece together the experiences and aftermath of the War that was endured by both American and Vietnamese cultures. The following passage is an extract taken from the chapter, Hoa Lo Prison Museum: The Fury Burning Within, which describes the experience of one particular memoir. “Scott Laderman observes that Hoa Lo “has come to exemplify a fascinating reality of contemporary Vietnamese tourism: Many Americans travel to Vietnam to learn not about Vietnam but about the United States” (2009: 3). The main draw of Hoa Lo for many tourists, indeed the reason for its widespread recognition, is the “Pilot Exhibit,” two galleries tucked in the back corner of the museum designed to depict the prison lives of the U.S. pilots who passed through during the period from 1964 to 1973. There is a striking contrast with the nearby display of imprisoned Vietnamese women as well as significant differences in the pilot exhibit itself pre-2008 and afterward following a major renovation by museum officials. 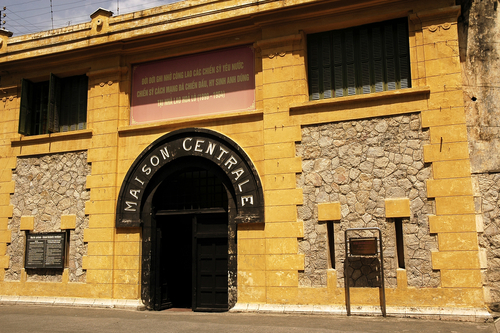 A large measure of the Hanoi Hilton’s contemporary notoriety is due to the political prominence of John McCain, who spent several stretches of his five and one half years in captivity in Hoa Lo. 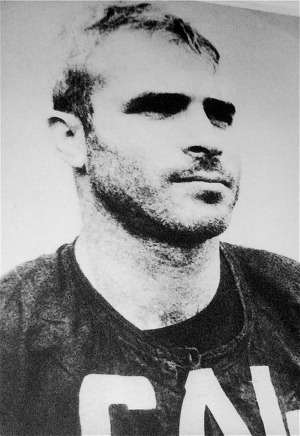 On 26 October 1967 McCain was piloting a A-4E Skyhawk fighter jet on his 23rd mission over Vietnam with the objective of taking out the Hanoi municipal power plant when a Russian anti-aircraft missile blew off his right wing and McCain ejected down 4,500 feet ending up at the bottom of Ho Truc Bach next to Hanoi’s largest lake. When he surfaced with multiple injuries he was both saved and further roughed up by Vietnamese bystanders. McCain was a prize prisoner, a third generation Annapolis graduate and the son of the Navy commander of the Pacific Fleet. He was told by his friends that the Vietnamese said “We have the crown prince” (1973: 5), so from the start he was the rock star of POWs. This put McCain in a highly visible position, but did not earn him any favors as he reports numerous types and instances of mistreatment by his captors. The Vietnamese deny any torture was inflicted on U.S. fliers, but it is worth noting that at the same time they claimed the Americans were “pirates” and “criminals” to whom the Geneva Conventions did not apply because war had not been formally declared, much in the same way that the United States later denied those rights to “enemy combatants” who were sent to Guantanamo and darker sites. As befits McCain’s celebrity status, he has his own display in the Hoa Lo Museum and he has visited on several occasions to great fanfare. McCain remained in solitary confinement for more than two years after his capture, learning that “the most important thing for survival is communication with someone, even if it’s only a wave or a wink, a tap on the wall, or to have a guy put his thumb up. It makes all the difference” (1973: 8). The primary function of communication was to boost morale, and “we would risk getting beat up just to tell a man that one of his friends had gotten a letter from home.” In time, the pilots developed an extensive communication system of hand signals and, more commonly, of taps on the wall. McCain “learned a lot about acoustics. You can tap—if you get the right spot on the wall—and hear a guy four or five rooms away” (1973: 9). By the time McCain was moved to Hoa Lo, the American prisoners had already reinvented the geography of the place with familiar names: the punishment complex was “Las Vegas,” including “Stardust,” “Riviera,” “Thunderbird,” and “Desert Inn.” “Camp Unity” was a communal environment where human contact was a welcome feature. “New Guy Village” and “Heartbreak Area,” including “Heartbreak Hotel” was where prisoners were usually taken for their initial interrogation. Naming is a powerful way of asserting some measure of control over an environment, and just as the Communist Party inmates of the 1930s, the American fliers had a strict internal hierarchy based upon rank and time served. Because of McCain’s family status he was given the opportunity to leave on several occasions, which he rejected because he would have been out of order given the Code of Conduct that bound him to his mates. McCain was so highly prized as a prisoner that he was seen by General Giap himself, then Minister of Defense, who visited his cell briefly and left without saying a word. They bound me from pillar to post, kicking and laughing and scratching. After a few hours of that, ropes were put on me and I sat that night bound with ropes. Then I was taken to a small room. For punishment they would almost always take you to another room where you didn’t have a mosquito net or a bed or any clothes. For the next four days I was beaten every two or three hours by different guards. My left arm was broken again and my ribs were cracked. McCain reached his breaking point, and wrote a “confession” (1973: 13). Tags: Carol Wilder, IQ magazine, Vietnam. Bookmark the permalink.